One month after West Coast prices set a new high mark, the price of gasoline has dropped more in the last two weeks, than during any single fortnight since 2008, thanks to a reduced price for crude oil and a sizable drop at California pumps, coupled to certain effects of Hurricane Sandy. 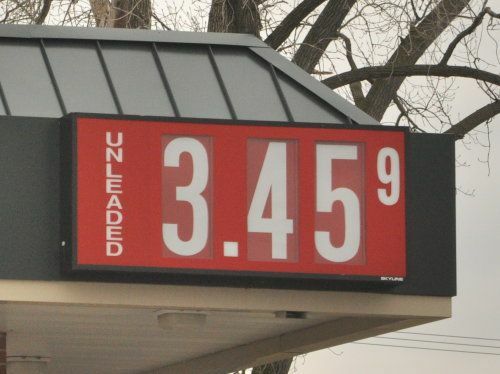 Based on a highly regarded survey, Reuters reports the average price for gasoline at $3.5454 per gallon as of November 2, a plunge of 20.75 cents since October 19 when drivers paid $3.7529 per gallon, according to Trilby Lundberg, editor of the eponymous economic periodical. This is the greatest two-week decline since a drop of 21.9 cents was recorded on December 5, 2008, the result of a significant downturn in demand during the worldwide recession. The national news images of people lined up for gasoline actually illustrated how the lack of supply caused by the storm simply meant fewer miles traveled by consumers due to the lack of fuel. Surprisingly, this lowered the demand on the national level. Lundberg also accounts the drop to a regularly occurring drop in consumption that usually kicks in following the August vacation period. Though demand was portrayed as high, the supply simply was not there for commuters in New York and New Jersey following the storm. Sales were down simply because there was little fuel to be bought. Retailers fearing prosecution for price gouging also helped to keep the average price low and it is likely the return to pre-storm demand levels will be time consuming, due to the amount of infrastructure needing to be restored. As the state consuming the most petrol, California also contributed to the drop in prices, with a 49-cent drop over the past two weeks, as refinery problems worked themselves out. According to Lundberg’s survey, gas prices have fallen a total of 29.21 cents nationally over the last month. As of November 2, the highest price for regular gas was in San Francisco at $4.05 a gallon, while the lowest costs blessed drivers in Memphis, where a gallon was selling for $3.11.